The church runs the Toys for Tots distribution each December. Most of the donations people give are for young children (not too surprising given the name). However, many of our food pantry clients and other people in need have older children as well. 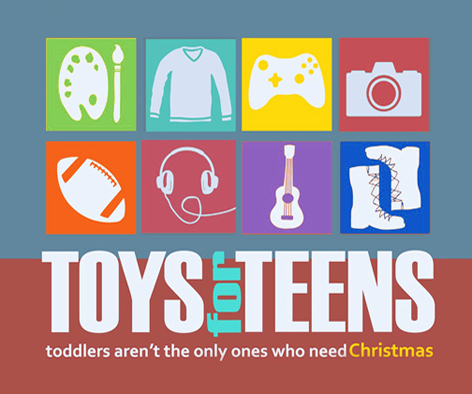 We are asking the congregation to help us supplement the Toys for Tots program with Toys for Teens – gifts for older children and teens (ages 12-18). Click here for information on all of the possibilities for “Giving Sunday”.